You don’t have to remind anyone connected with the Lehigh football program about the drama and subjectivity of the playoff selection process. Last season, Lehigh went 10-1, their only loss coming to eventual Patriot League winners Colgate. Despite the ten wins, the FCS Championships committee decided to deny the Mountain Hawks a playoff spot, thus making them the only school from an autobid conference with 10 or more Division I wins to be snubbed since the playoffs were expanded. Lehigh fans might, then, see some of the news that “blindsighted” some of the FCS athletics directors with some interest. For the upcoming season, there will be a new ratings system used by the FCS Championships committee members in that smoke-filled room. 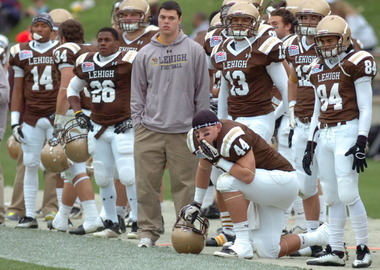 The question is, though: will it prevent future snubs like the one Lehigh endured last season?